There’s not too terribly much I can say about these two issues. We have Travis Charest on art and James Robinson on script. It’s like a perfect comic book! 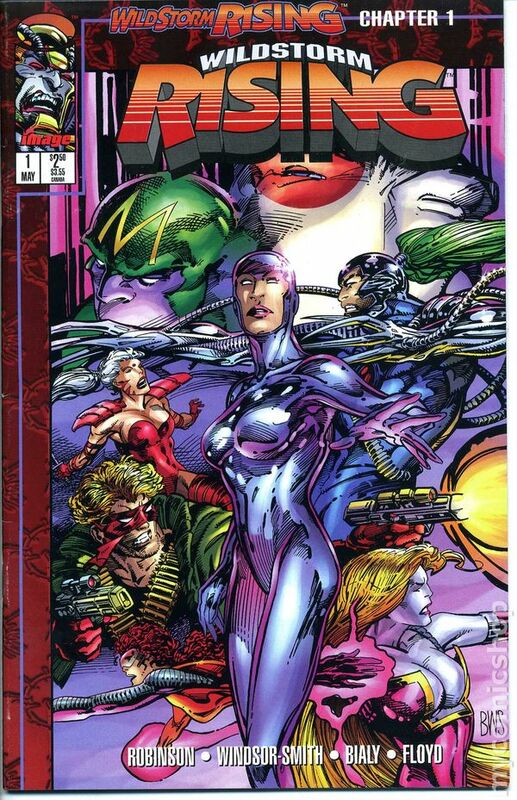 Even better it is starring some of my favorite comic characters, the WildC.A.T.s! So yeah, I love it, but it isn’t an overly complex story. 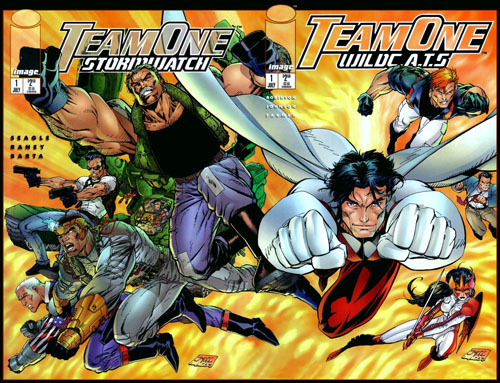 One of the biggest differences of this comic, is that it doesn’t really seem to star the WildC.A.T.s at all! In fact, if this was an episode of a television show, it’d come off more like a backdoor pilot for a spin-off series. It stars I/O’s Black Razor team as lead by Ben Santini. The Black Razor’s are dispatched help keep certain government officials from getting assassinated. Jacob Marlowe has been appointed to an energy commission by the government, who will be meeting up with all kinds of very important, and high ranking people. While on a mission saving one official they start to find out information on the next hit, and that’s where the WildC.A.T.s come in. As it turns out, I/O have done their homework and figured out that it is a Daemonite plot to take out these government officials. They also find out that one of the ways these hits have been being carried out is with a Daemonite shapeshifter. On the one assassination attempt they manage to foil, they find out that the shapeshifter they were after was already placed for the next assassination. Next on the hit list is an oil baron, who’s meeting with Jacob Marlowe, and just who is this shapeshifter posing as? Oh, a WildC.A.T…. duh! See how it all comes together? 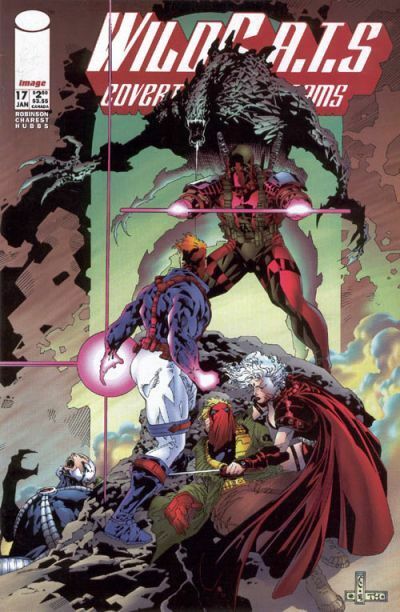 It doesn’t go smoothly and the Black Razors are basically fighting the WildC.A.T.s as they try to establish which one of them is fighting in an unusual style. Listen, I know the WildC.A.T.s haven’t been around long, but I can’t figure out how I/O already has a handbook of their fighting styles created. I mean, geez so much for being a covert action team, everybody knows a little too much about these guys! Anyway, Santini figures it out, turns out it was Maul, and takes him out in the middle of the battle. He smarts off to Jacob and takes off. Now the only mystery left is, where the hell is Maul? Like I said, not too much to it really. A simple story told and drawn incredibly well! Santini has hated Jacob ever since he shot out his left knee in “WildC.A.T.s” Vol. 1 issue 2, just to get attention, that little creep. Though by reading through the letters pages, it seems that there was supposed to be a series starring Santini and this group of Black Razors that never materialized. Speaking of a particular Black Razor seems as if Adam Fleming changed his name to Cyril between issues. Either that or I didn’t notice if there were twins on the team. On the first few pages of issue 15 we see Jacob noticing that Warblade wants to go on a Daemonite hunt, which means “Warblade : Endangered Species” can’t be too far behind. If you hadn’t already figured it out, the Daemonite that was posing as Maul was the shapeshifting one we saw on the last few pages of “StormWatch” Vol. 1 issue 14. We saw him showing off his skill to Defile, who is all mixed up in this. One of Jacob’s main jobs on the energy commission he’s been assigned to is undo all the messed up stuff that B’Lail put in place while he was possessing Dan Quayle. 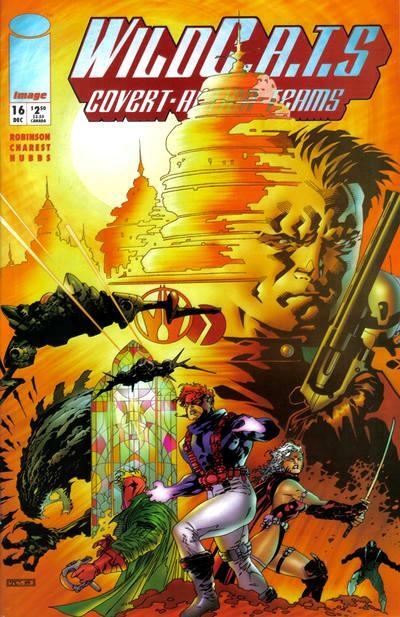 NEXT: “StormWatch” Vol. 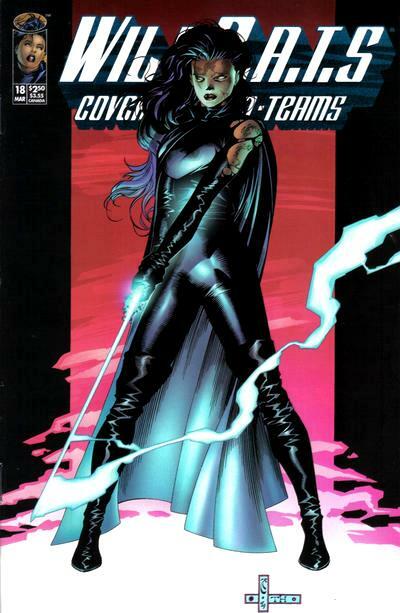 1 issues 15 – 17 by Ron Marz, Mat Broome and Trevor Scott with Ryan Benjamin, Dan Norton, Alex Garner, Sandra Hope, Tom McWeeney, Chuck Gibson and Jim Lee.